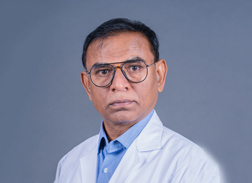 Characterized by a cohesive team of dutiful doctors and state of the art technology, the STAR Institute of Neuro Sciences and Trauma has stood as a true representation of our devout zeal to enhance the reach of quality neurological health care in India. 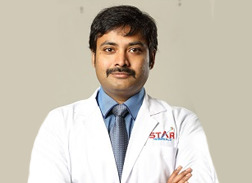 With 24-hour critical services, efficacious diagnosis and treatment and a dedicated nouveau block to meet the rising neurological challenge in the Indian patient scenario, the neurosciences department of STAR has not only had successful case histories but also a number of happy patients who have regained their physical and emotional health to it’s pink. Encompassing an exclusive 8-Bed Neuro ICU which is consistently monitored by the Neurologists, Neuro surgeons and Neuro radiologists, the STAR Institute of Neurosciences also ensures to provide reinforcing therapeutic treatments that assures a long-lasting recovery for it’s patients. Our team of top ranked neurologists diagnose and treat 50 per year adults and children, including those with complex & rare conditions. 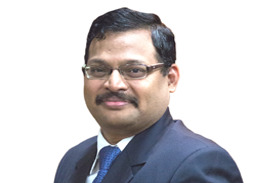 Characterized by a cohesive team of dutiful doctors and state of the art technology, the STAR Institute of Neuro Sciences and Trauma has stood as a true representation of our devout zeal to enhance the reach of quality neurological health care in India. 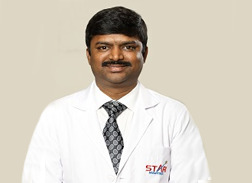 With 24-hour critical services, efficacious diagnosis and treatment and a dedicated nouveau block to meet the rising neurological challenges in the Indian patient scenario, the neurosciences department at STAR has not only had successful case histories but also a number of happy patients who have regained their physical and emotional health to it’s pink. Encompassing an exclusive 8-Bed Neuro ICU which is consistently monitored by the Neurologists, Neuro surgeons and Neuro radiologists, the STAR Institute of Neurosciences also ensures to provide reinforcing therapeutic treatments that assures a long-lasting recovery for it’s patients. 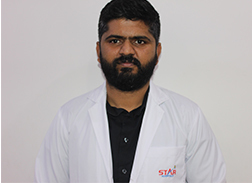 Offering unparalleled neurological solutions, the Department of Neurology at STAR has earned an immaculate reputation in Hyderabad. Specialised in handling the situation of acute stroke, our diligent team of neurologists also have proficient expertise in wide range of areas in neurology. The Department of Neurological Surgery at Star Hospitals is home to leading neuro surgeons (brain & spine ) dedicated to treating patients with neurological disorders offering best therapies and cure for various ailments. Our primary commitment is to our patients and we are ranked one of the top best neurosurgery services across the region. Neuro surgical procedures require precise planning as these are surgeries done on Brain, Spine, Spinal cord and peripheral nerves. Hence, surgery requires utmost care and concentration. Every step carries a set of risks and must be approached with great caution. We understand the gravity of the situation and consider it our duty to support them with reliable and high-quality solutions giving full attention to saving people, prolonging lives and improving quality of life. 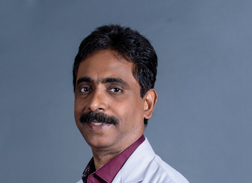 Endoscopic & Minimally Invasive spine solutions - Ours is the first centre in south India using laser in spine surgeries& we are pioneers in the region for PELD (Percutaneous Endoscopic Lumbar Discectomy). We extended endoscopic procedures to various spine problems thus minimising the requirement for implantation in spine. Abnormalities of the peripheral (face, arms, legs, hands and feet) nerves. Functional and Epilepsy surgery - Intraoperative monitoring & conscious craniatomies. Our world renowned neuro-surgeons at Star Hospitals work in an interdisciplinary environment that brings together neurologists, neuroradiologists, medical oncologists, radiation oncologists and a dedicated neuroanesthesia team. With the top of the line technological advancement, the department of Neuroradiology offers precise imaging services to the department of Neurology and Neurosurgery that ensure accurate diagnosis and expert treatment of the Brain and the Spine. Dedicated team of neurosurgeons,neurologists and neuroradiologists round the clock.